How do you get employees to use an Office 365 intranet, when they live in email? Truphone is the only mobile operator in the world that expands the reach of businesses beyond the borders of their home country. It has employees located in 10 countries. Truphone had an operational objective of utilising Office 365 services as quickly as possible, to begin getting value from their investment in the Office 365 platform. Truphone had invested in the Office 365 platform to meet its wide-ranging needs and support the organisation’s ambitious plans for 2016 and beyond. Truphone also had number of business objectives that needed to be met. Truphone needed to create an Office 365 intranet that would help to engage and inform employees about its strategy and plans for 2016, offer personalised communications and make it easier for teams to share information across geographic borders and time zones. With Truphone embarking on a period of exciting growth, the business was looking for a scalable, enterprise ready Office 365 intranet solution to support that growth. Generating and proving adoption of the Office 365 intranet in meeting these goals was a key goal for the Truphone team. Truphone employees in general relied heavily on email and so the IT and Communications teams were conscious that a change in hearts and minds would be critical to the adoption of the Office 365 intranet and meeting their business objectives. AddIn365’s strategy and implementation approach fitted the bill, as did the AddIn365 Office 365 intranet product, AddIn Intranet. AddIn Intranet was made available to Truphone with the AddIn Analytics package which was seen as a bonus; the data made available would enable the Truphone team to measure and manage engagement with Office 365 – and therefore Truphone’s business objectives – in the short, medium and long term. AddIn365 worked with Truphone to get their Office 365 intranet live with only nine days of support from the AddIn365 team. This was possible because AddIn Intranet has been engineered to minimise set-up time so that customers can enjoy a speedy return on their investment in Office 365, as compared to more traditional custom or intranet product routes to enhancing the Office 365 platform, that can take months to set-up. 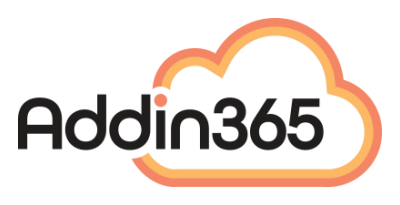 AddIn365 strategy and implementation services focused on design, training, launch and engagement activities to ensure the new Office 365 intranet would reflect the Truphone brand and garner a high level of engagement from day one. Within the first week of Live Truphone had achieved nearly 50% uptake of the new Office 365 intranet. Within 90 days of Live, adoption of the new Office 365 intranet has grown to 70%. Over the first 12 months of Live, Truphone’s adoption has sat between 75% – 85%. This is a fantastic result for an organisation that had been entrenched in email use. Using the AddIn Analytics package as a guide for where and how the Truphone Office 365 intranet is being used, Truphone will continue to build on their engagement strategy to increase uptake further and sustain it over the lifecycle of their investment in Office 365 and AddIn Intranet.